The Fun Board is offers a variety of different obstacles. 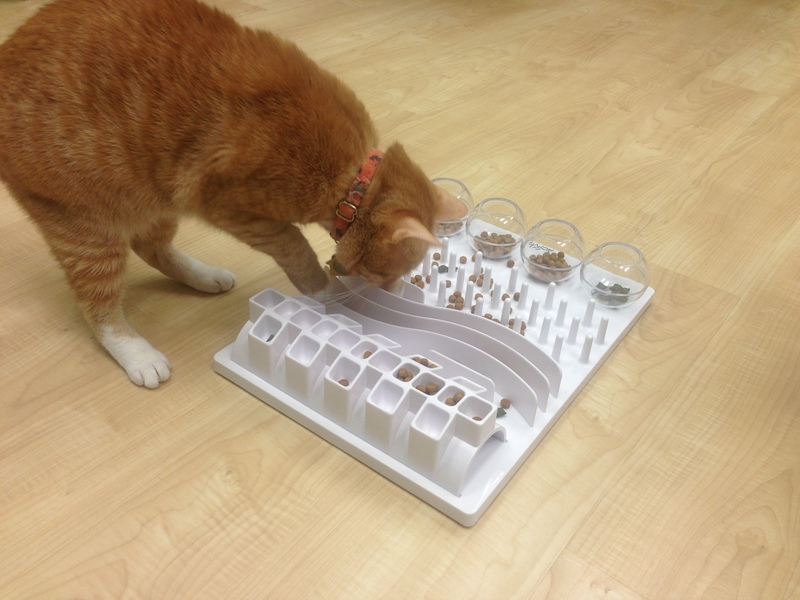 For many cats, acquiring food from the clear globes is the greatest challenge of this board. The section that looks like an ice cube tray is called the tongue module and is designed for canned food. This works the cat's jaw muscles and tongue similarly to how they would remove flesh from the bone of live prey. 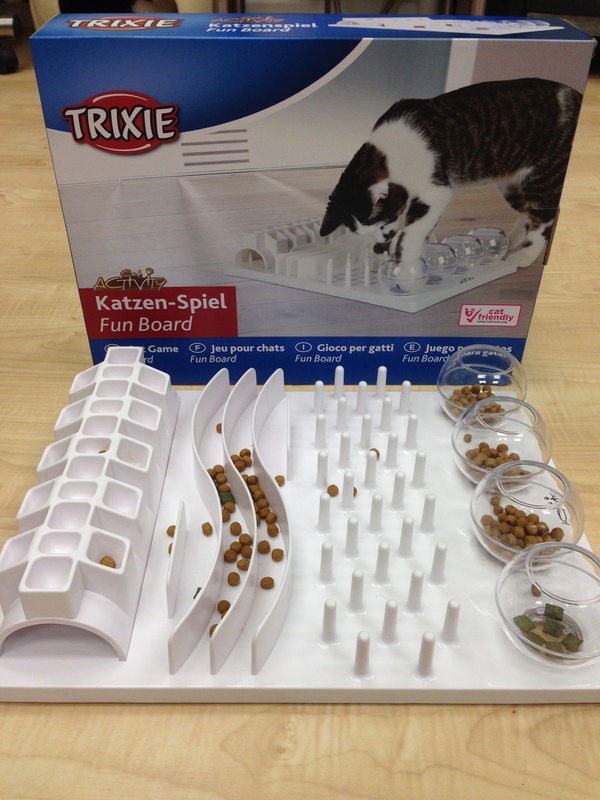 The entire board can be used for dry kibble as well. This toy is also very easy to clean. 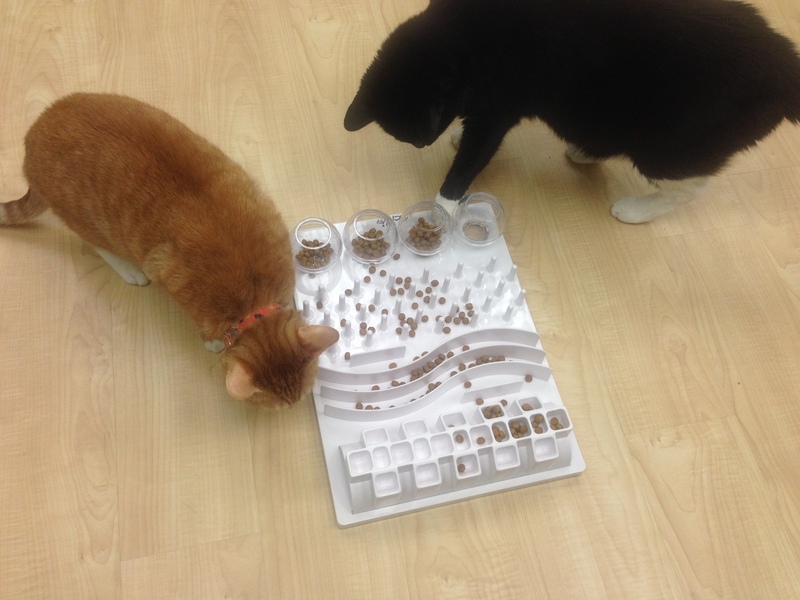 Take a look at the photos and video below to see cats interacting with this board! 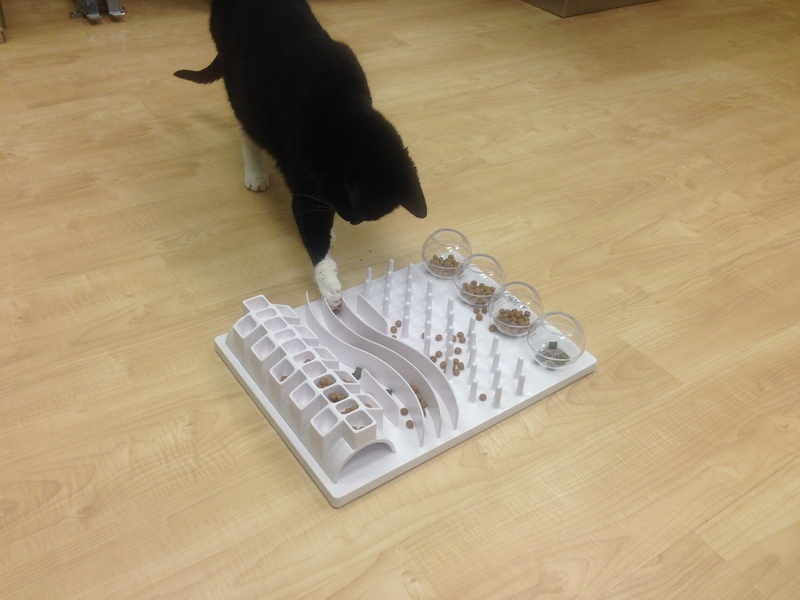 In this clip a 16 year old, a 7 year old and 1 year old cat are all found foraging and exploring this new activity board together.